VIENNA —The U.N. drug control agency on Wednesday sounded the alarm on the spread of designer drugs, which are sold openly and produce legal but sometimes deadly highs, while reporting that global drug use generally remains stable. A six-page summary of the report by the U.N. Office on Drugs and Crime warned that “the international drug control system is foundering, for the first time, under the speed and creativity” of their proliferation. It said countries worldwide reported 251 such substances by mid-2012, compared with 166 at the end of 2009. The problem, said the report, is “hydra-headed” in that as fast as governments ban the drugs, manufacturers produce new variants. Nearly 5 percent of European Union residents aged between 15 and 24 have already experimented with such drugs, said the report. 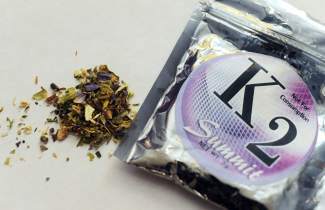 In the United States, 158 kinds of synthetic drugs were circulating during 2012, more than twice as many as in the EU, and use was growing in East and Southeast Asia, including China, Indonesia, Japan, the Philippines, Thailand and Vietnam. Gil Kerlikowske, director of the U.S. Office of National Drug Control Policy, said the United States faces “continuing challenges with prescription drug abuse and new synthetic drugs.” But he also noted successes, saying on the sidelines of a meeting in Vienna for the report’s launch that U.S. cocaine use has decreased by 50 percent since 2006, due in part to better drug education and increased amounts seized. In a statement accompanying the organization’s 151-page report, UNODC head Yury Fedotov said that while drug use and production overall appears to be stable in recent years, illicit drug consumption still kills around 200,000 people each year. However, the office lowered its estimate of the number of people injecting drugs and those living with the HIV virus worldwide because of such injections. It said 14 million people between the ages of 16 and 65 inject drugs and of those, 1.6 million have the virus as a result of such injections — 12 percent and 46 percent less respectively than last estimated five years ago. — heroin and opium use remains steady at around 16.4 million people, or 0.4 percent of the world’s adult population. —heroin use appears to be declining in Europe, with users aging and because of more efficient drug seizures. —cocaine use, although still rare, appears to be growing in China and Hong Kong as shown by seizures of the drug, apparently reflecting the growth of a more affluent society. —U.S. cocaine use fell by 40 percent between 2006 and 2011, due in part to less production in Colombia, more efficient law enforcement and disruptive turf wars among drug cartels. —seizures of “amphetamine-type” drugs rose by 66 percent in 2011 compared with the year before, to 123 tons. —the use of “ecstasy,” one such drug, is declining globally but appears to be growing in Europe.